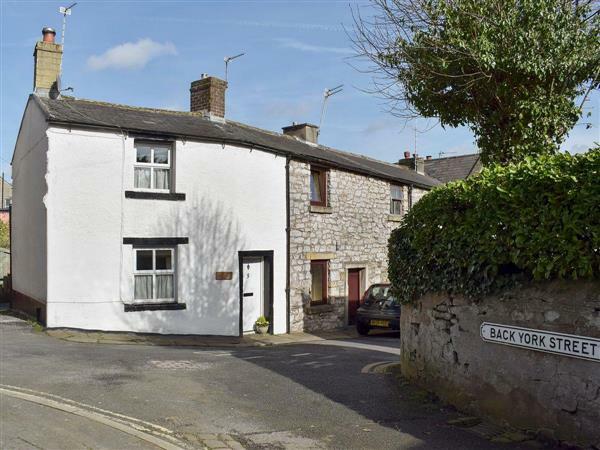 Albion Cottage in Clitheroe, Lancashire sleeps 2 people. 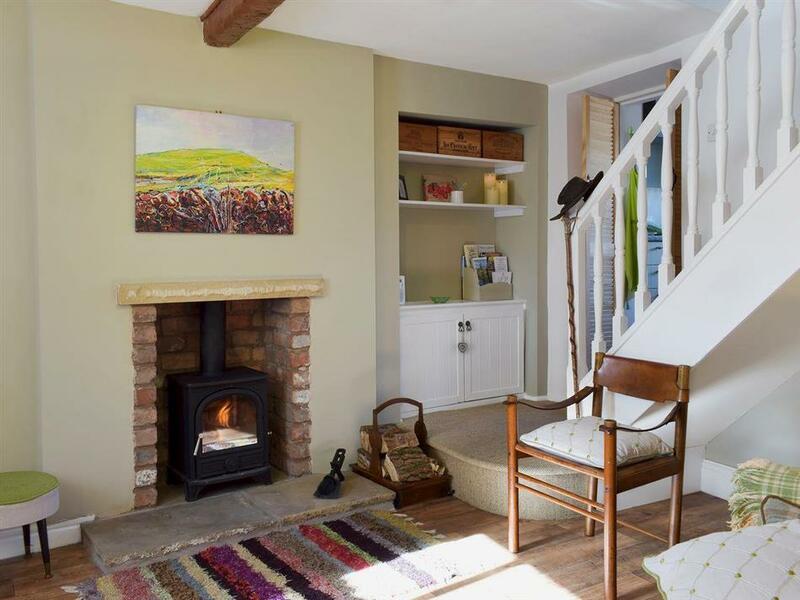 Albion Cottage in Clitheroe is a former blacksmith’s cottage which lies in the heart of this town; beautifully presented in eclectic style to provide a perfect retreat for two. Clitheroe has many individual shops, great bars and restaurants as well as a castle with one of the smallest Norman keeps in Britain. This centrally located cottage is just around the corner from The Grand, a contemporary auditorium hosting regular music events, cinema nights and much more. There are plenty of opportunities for walking, cycling, mountain biking and fishing in the Ribble Valley and surrounding areas. Further afield, the Yorkshire Dales can be reached within 45 minutes, and the Lake District, Blackpool and the Fylde Coast within an hour. The shop and restaurant are 100 yards, with the pub 150 yards from Albion Cottage in Clitheroe. Albion Cottage in Clitheroe has a step to the entrance. Living room: With multi-fuel burner, 31 Smart TV, beams and wooden floor. Kitchen: With breakfast bar, electric cooker, microwave, fridge and wooden floor. Bedroom: With zip and link king-size bed (can be 2ft 6in twin beds on request). Gas central heating, electricity, bed linen, towels and Wi-Fi included. Initial fuel for multi-fuel burner included. Enclosed courtyard with sitting-out area, garden furniture and barbecue. On road parking, 100 yards. No smoking. Please note: No children under 18 years old. Holidays at Albion Cottage run from Friday to Friday. Pets allowed at Albion Cottage. For a better idea of where Albion Cottage is, you can see Albion Cottage on the map below. Albion Cottage is in Lancashire; should you be on the lookout for a special offer, you can find all the special offers in Lancashire. It's always worth checking to see what is on offer at the moment. Do you want to holiday near Albion Cottage (UKC1594), you can see other cottages within 25 miles of Albion Cottage; have a look to find your perfect holiday location.